Recruitment rallies will be conducted for selection of candidates for application as Jail Warder for 135 number of vacant posts in the Pay Band Rs. 14000-49,000/-, Grade Pay Rs. 5000/- per month, plus other allowances as admissible under the Rules. 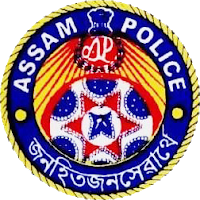 The application form will be uploaded on the Assam Police website: www.assampolice.gov.in on 08.04.2018. *OBC/MOBC, SC. ST (P) both male and female and ST (H) female candidates may appear fill, Unreserved posts. Age: 18 to 38 years as on 1st January2018 (that is, the candidate must be born on or before 01-01-2000 and on or after 01-01-1980). Relaxation: Upper age limit will be relaxed by 5 (five) years in respect of candidates belonging to SC, ST(P) and ST(H) under the provision of Reservation Rules and by 2 (two) years in respect of Ex-servicemen as per O.M. vide Memo No.AAP.115/72/PT.I/194-A dated 10-03-2009. (A)Application must be submitted online through Assam Police Website www.assampolice.gov.in. No other form of application will be entertained. All candidates will have to appear in Physical Standard Test (PST) and Physical Efficiency Tests (PET). The candidates applying online will get an acknowledgement slip with an id, number which can be printed and will also get the information through SMS and email. A candidates whose application is found to be in order shall be called for PST/PET. The Candidates will be able to download the Admit Card/Call letter by furnishing id. number already alloted to the candidates at the time of submitting applications. Venue wise and the date wise list of candidates (showing id. nos. only) will be uploaded in www.assampolice.gov.in. The information will also be sent by SMS to the mobile number and to the email address Furnished in application form. B) If a candidate appears in the Tests from more than one venue, or makes an attempt towards that end, his/her candidature will be cancelled forthright for ALL venues. C) The educational qualification, birth certificate and caste certificate are to be uploaded with the application form. Moreover, when the candidate reports at the venue on the date and time for Physical Standard Test and Physical Efficiency Test, he/she must bring all essential-documents in original along with one set of attested photocopies of the same. Any incorrect information or document submitted which is not genuine may disqualify a candidate at any stage and may also render him liable to criminal prosecution. Original documents of a candidate may be put to check at any later stage of the recruitment process. D) Incomplete/ defective application will be summarily rejected. E) Testimonials/ Documents to be submitted when appearing in Tests: The candidates should bring attested photocopies along with the originals of the following documents/ materials for verification by the Selection Committee on the date of their Test. a) Certificate of proof of age (please see Eligibility criteria- certificate of age at Para 2 (b) Note. b) Certificate of HSLC or equivalent examination. c) Female candidates who have not passed HSLC or equivalent examination –certificate of Class VIII or equivalent pass. d) Mark-sheet of HSLC or equivalent examination. e) Certificate of additional qualifications such as Diploma from ITI or other recognized/accredited Institute etc (if any) and addl. education qualification certificate. f) Certificate of Sports, Games etc (If any). g) Experience of serving in Home Guard and Ceritifcate of NCC (If any). h) In case of Ex-serviceman, he/she must furnish: (a) Copy of Discharged Book & (b) Copy of Identify Card of Ex-Serviceman. i) Certificate of Caste from the Competent Authority in respect of the candidates belonging to ST(P)/ST(H)/SC/OBC & MOBC. j) 2 (two) copies of passpost size recent photographs. k) Candidates should produce undertaking as to know bi-cycling. Note : The date and venue of Physical Test and Written Test would be intimated in due course through Admit Cards and through Assam Police website: www.assampolice.gov.in. Only online applications will be received with effect from 08.04.2018 and no other form of application will be entertained. The last date for receipt of applications will be 08.05.2018.